Alexander Rich, mentor and role model, in Woods Hole, Massachusetts in 2013. In Alexander Rich's lab at MIT. 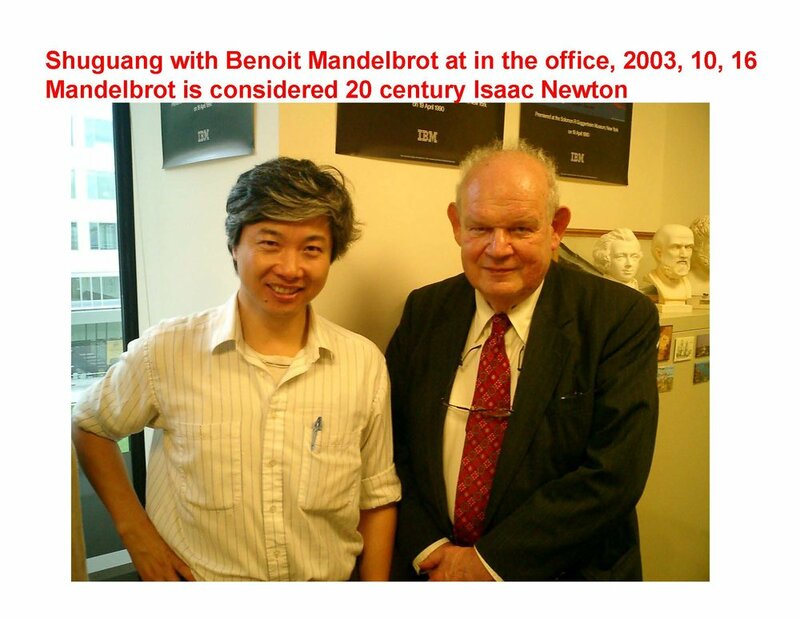 With D. Carleton Gajdusek, Aliette and Benoit Mandelbrot, and Andrew Szent-Gyorgyi in 2003. In Shuguang's office at MIT. With Leslie Orgel and Francis Crick in 1994. Charles Darwin's chair, according to legend. Induction into the Austrian Academy of Sciences, 2010. With Francis Crick in 1991 in his office in the Salk Institute. Seated in Charles Darwin's chair to get some ideas about the origins of life. Receiving the Exener Medal, Vienna, Austria, 2006. With Odile Crick in their home in 2003. With Jean-Marie Lehn in Strasbourg, France, in 2005. 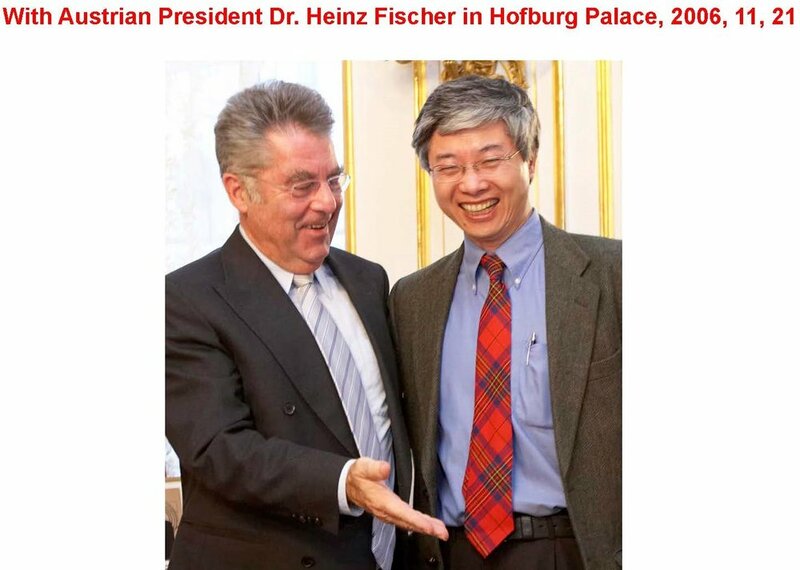 With Austrian President Heinz Fischer, Vienna, Austria, 2006. Austrian Academy of Sciences, 2010. American Institute of Medical and Biological Engineering, 2011. National Academy of Inventors, U.S. Patent Office, 2013.